Bosc + Brie is a luxury catering service serving all of Ohio. The goal of this company is to go above and beyond for their customers to make their day as stress-free as possible. It is clear from the reviews of this catering service that former clients have been blown away by the service provided and the quality they received. 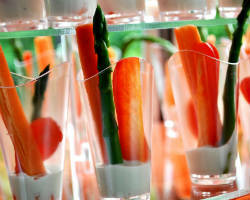 The fresh food they provide will keep guests full and ready to dance the night away. Out of the many local caterers to choose from, choosing this one will ensure success. 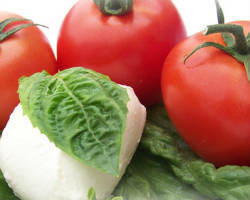 Many catering services offer either a wide range of food options that don’t really go well as a meal or they offer a very specific menu like Italian catering or Mexican food. Dosa Corner Restaurant believes that the menu you choose should tell a story with each dish or option complimenting the next. 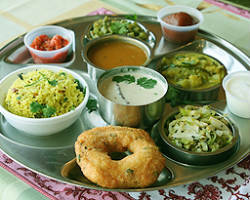 This catering service offers a complete Indian menu that is tasty and fresh. By contacting the restaurant, you can talk to the manager to begin building a wedding meal you and your guests will love. Almost every catering service allows you to customize your menu from their choices, but not many sit down and listen to what you like before helping you choose what will best suit your event and tastes. Culinary Classics Catering believes understanding the tastes of the bride and groom is essential to a successful relationship. Whether you would like them to cater your rehearsal dinner, reception or something else entirely, they will work to provide you with a top-notch menu and unbeatably appetizing food. 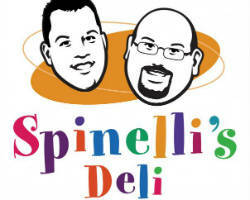 Spinelli’s Deli doesn’t just offer sandwiches for a tea party; they offer a full range of options for breakfast, lunch and dinner. They can provide a delectable spread for any number of people up to 250, and they manage everything that goes with the food as well. Delivery, set-up, sauces, plastic ware, and trays are provided when you order food from this Deli. Providing your guests with a meal that is affordable for you as well as tasty has never been easier. Chik’s Catering is a luxurious catering service that does it all. Whether you are looking to have a personal chef or would like a banquet style catering for your party, corporate event, or reception, Chik’s Catering can accommodate. For larger events, Chick’s works to provide you and your guests with a buffet that is full of flavor. They have a menu that doesn’t overwhelm you with choices, but does have all of the delicious options you would want at a wedding reception. Spagio is a unique catering service as it is part of the Spagio restaurant that specializes in European and Pacific Rim Cuisine. 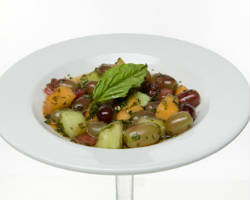 Catering from Spagio’s is truly as treat as they provide the most comprehensive service and top of the line menu. 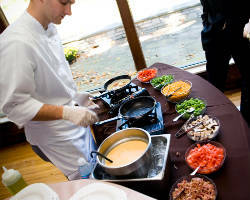 Not only do they provide the food for your event, but they can also provide the service. Imagine having waiters serving you and your guests as you party the night away. 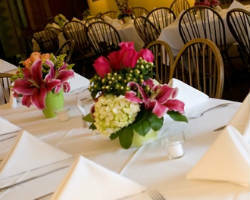 Choosing this unbeatable quality catering service means choosing the best wedding catering company in Columbus. Schmidt’s Classic Catering offers a touch of German home cooking in every menu they prepare. In addition to the on-time and excellent service this catering company provides, couples are mainly attracted to the selection of food that will leave you and your guests full and happy. They offer classic German sausages as well as a variety of other European-inspired dishes and American classics. This Columbus catering service truly has all of your favorites and dishes you know everyone will absolutely love. 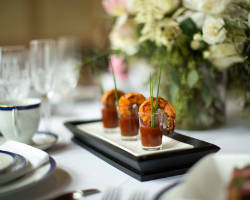 Perfect Plate Catering is all about providing you and your guests with the most comprehensive service possible. They provide you with menu options that will fit your budget and your style. Calling them is the best way to reserve their service and talk about exactly what you want and need. They have a menu with clear prices for each item per person rather than packages that might not suit you. This catering service is so popular because it is relatively cheap and totally delicious. Finding a caterer is easy, but finding one that is known for specializing in weddings and serves incredibly elegant meals is difficult. Shane’s Gourmet Catering is known for their full-service and wonderful food. 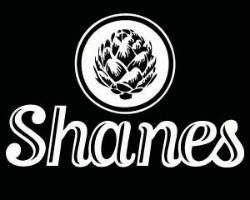 Shane’s understands that this day is the most important and so they want to take some of the stress out of it by providing you with the best. They work with their clients to provide them with a menu they will love. Whether you want crawfish, BBQ, or everything vegan, Shane’s is there for you.